Sometimes it can be difficult to find that perfect gift for everyone on your holiday list. However, in a busy city like Jersey City, there are tons of local shops with interesting gift items to make everyone happy this December – especially at the Newport Centre Mall. 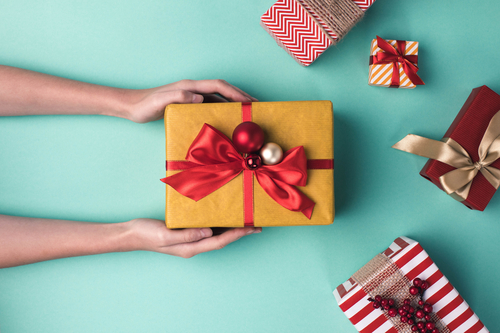 If you’re on the hunt for gifts at the wall this weekend, then check out some of these Newport Centre stores for a gift that’s sure to impress. Plus, you won’t have to venture far from your Lenox apartment to do it – just take the light rail! PANDORA Jewelry, located inside the Newport Centre Mall at 30 Mall Dr W B35, Jersey City which is a five-minute drive from your Liberty Towers apartment, is a jewelry chain featuring a variety of necklaces, rings, customizable charm bracelets and more. If you’re looking for a sparkling gift for that special lady in your life, then this is certainly the place to find it. Plus, with an extremely large selection and helpful salespeople, it should be easy to find a great gift. Yankee Candle, located inside the Newport Centre Mall at 30 Mall Dr W, Jersey City which is an eight minute drive from your Beacon apartment, is a retail chain specializing in a wide array of scented candles and related accessories. Step into the world of fragrance and discover all the possibilities for creating a warm and welcoming home. From the inviting displays of their newest fragrances and familiar favorites, to home décor accessories, you’ll experience America’s best loved candles first hand and will find a great gift for your loved one!